It’s over a year now since World Rugby’s technical report came out for Ireland’s farcical bid to bring a World Cup to a country without the infrastructure required. It made for grim (and I-told-you-so-style) reading, but for those in the GAA one element ought to have leapt out. 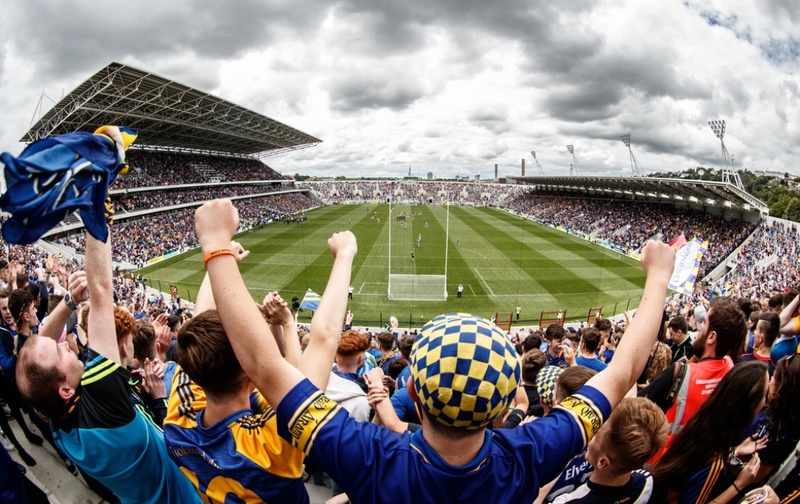 The bow had only been taken off their latest version of Páirc Uí Chaoimh, yet those who know stadia noted in their assessment that it was a place that needed a great deal of work. In Ireland, this drew glances, but the reality is that we know so little about the construction of world-class arenas. We know nothing about getting bang for our buck in this area either. When the original plans for the Cork venue were put down on paper, they came with a costing of €70m. For the sake of illustration for a moment, let’s assume it was actually built for that price too, and then look at the venue against the backdrop of such a number. Without a big screen, with two uncovered terraces in a place where it rains an average of 204 days per year, with the drainage needing costly work and the playing surface needing replacing already, with a simple pitch out back somehow making it into the guidebook under the auspices of an entire centre of excellence, that is a staggering cost. Yes, it’s an improvement on what went before, but that isn’t justification. Paying €2,000 for an average television isn’t suddenly a good deal merely because it’s better than your old, busted screen. 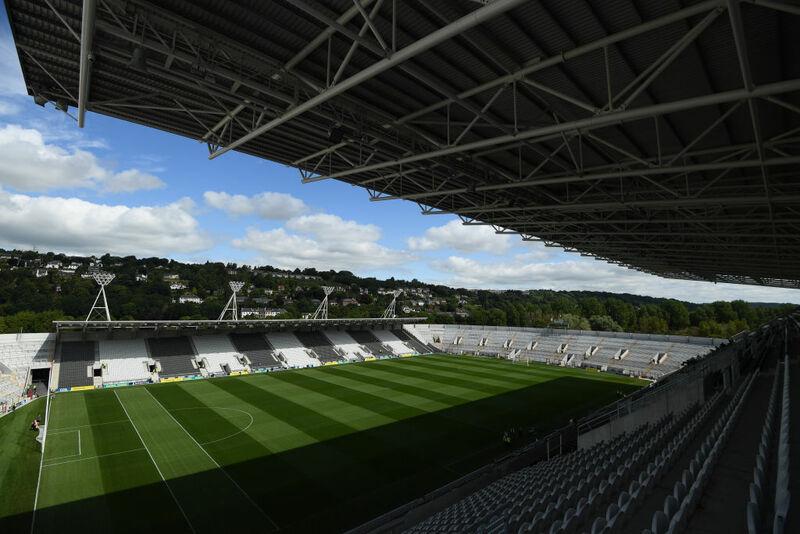 Their chairman Ger Lane may have said in 2017 that, as a project, “this has been an outstanding success and is now regarded as one of the best stadiums in Europe”. But shunting nonsense public relations to the side, it was a bad modern build of a design way out of date. Then again the association have taken many a cold shower in this sphere and it hasn’t woken them up. 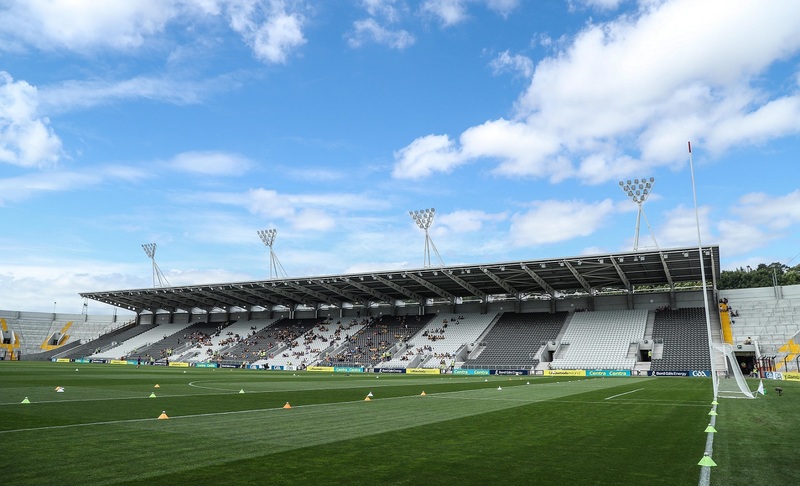 When Semple Stadium got a €18m facelift in 2009, one of the first quotes on the tour was correctly, “where did the other €17m go?” Little wonder as teams still have to jog from nearby Dr Morris Park after warm-ups. 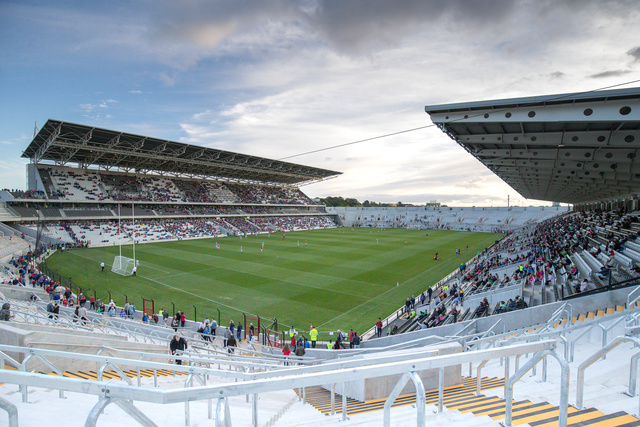 Limerick’s redevelopment of the Gaelic Grounds that involved a basic uncovered stand with 12,000 seats and a couple of terraces came in at €12m. Indeed compare the Caterpillar Stand at Welford Road with the monstrosity in MacHale Park that mortgaged Mayo’s future, for they and Leicester Tigers had a similar bill. For sure prices rise with time and Ireland isn’t exactly a valuable or particularly worthwhile place to do any sort of business or buying, however, consider some other modern arenas. The architecturally iconic Forsyth Barr Stadium in New Zealand – an indoor glasshouse that holds 30,748 – was built for €120m. For Euro 2008, Letzigrund in Zurich and the Wörthersee Stadion in Klagenfurt were constructed to the highest UEFA standards for a combined €138.8m. The 31,895-seater Red Bull Arena in Salzburg was €45m. 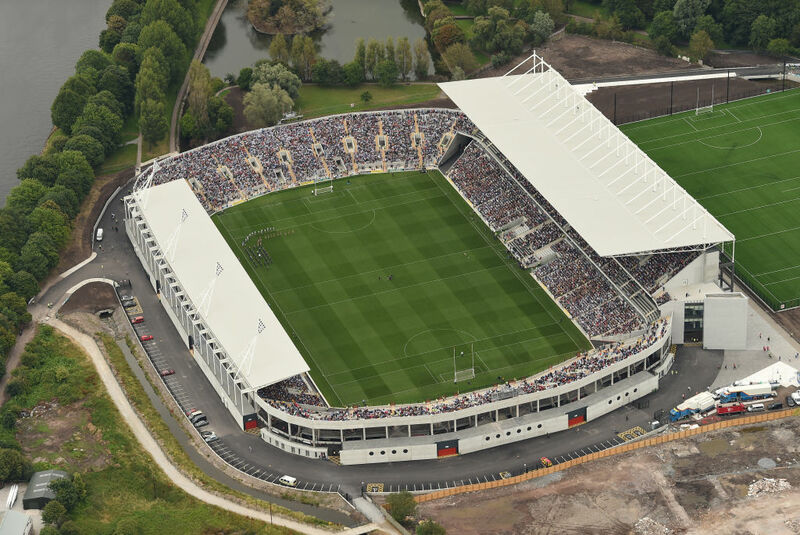 Swansea’s Liberty Stadium was opened for €37m. 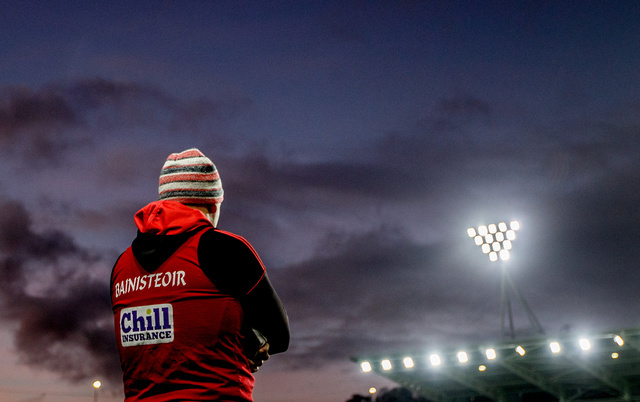 Two of the GAA’s great strengths are its amateurism and its volunteerism. But in an area of massive money and in an area where there’s a need for technical expertise and business savvy, then that suddenly transforms into a problem. Yet after so many previous blunders the right people should have been in place to oversee this Páirc Uí Chaoimh project. Had they, then at best they’d have realised that €70m for this was a silly spend. Had they, then at worst they might have managed to keep that figure at €70m. In July of 2017, Liam Ó Múrchú, the secretary of Freemount GAA club in the very north of the Cork, emailed a letter to all those on his county board. It was in relation to Páirc Uí Chaoimh or, more specifically, about the lack of clarity and transparency around the rebuild. A long list of obvious and pertinent questions followed, including queries about the expected cost of the overall development, where additional costs in terms of any overspend had occurred, and why the county committee hadn’t been updated on the blown budgets over the previous 18 months. To look back on that now – with revelations that the cost has soared towards €110m – it’s amazing how more warning lights weren’t flashing. Then again, how many times was a piece of duct tape stuck over a lighting-up dashboard throughout this entire process? As early as 2015, due to the €30m the taxpayer was about to invest, the Department of Public Expenditure’s central expenditure evaluation unit examined the plans and questioned the ability to make back money and questioned the reality of the Cork County Board in their excitable estimations. Others looked at it hesitantly too. A feasibility study wasn’t as positive as those preparing to spend other people’s money. And some engineers, sources say, weren’t sure about the nature of the plans but pushed ahead with anyway. Did you hear about the Cork man with the inferiority complex? He thought he was merely as good as everyone else. It’s a joke that comes to mind when thinking of how the likes of Frank Murphy wouldn’t be stopped. If this is his legacy, it’s not what he planned; granted, if this is his legacy, then many will say it is absolutely fitting. This isn’t solely about the Cork psyche either, but also the Irish psyche for how often does money go missing on big builds? It’s long reached the stage where it’s accepted with a shrug, as if private companies going over budget is part and parcel and you just pay up. With the boom suddenly back too, it’s as if we wouldn’t bend down to pick up a fiver off the path. Murphy himself has actually been rewarded with a spot as secretary of the stadium committee. Yet with public finances now missing, a public accounts committee will likely get involved. That one saving grace will thankfully allow few to save face. For money doesn’t go out of circulation, instead there are millions that have been allowed to make their way from sport and into the pockets of businesspeople and corporations who broke their own promises. That’s not to suggest illegality, but it is to suggest the kindest term is complete and utter incompetence. For context, again go back to those other grounds. The overspend on Páirc Uí Chaoimh from the first estimate used to push through the project is closing in on €40m. Basically, that overspend is same as the entire cost at the time of their construction of the King Power Stadium and St Mary’s, both better grounds than Páirc Uí Chaoimh to begin with. You couldn’t make it up. Finding that sum should, of course, be one immediate priority. Finding who allowed the money to go down such paths ought to be another. The Cork County Board have full-time officials, the Munster Council have full-time officials, Croke Park have full-time officials. And all have a job to do in terms of overseeing, and in terms of checks and balances, yet here we are; with a dark cloud draped over the stadium for at least 15 years, causing many to miss out in various areas of our games that are screaming out for finance. Some people create their own storms, though, and then get upset when it rains. That’s a problem, for if there’s one thing we’re as bad at as building stadia, it’s around creating and accepting consequences.